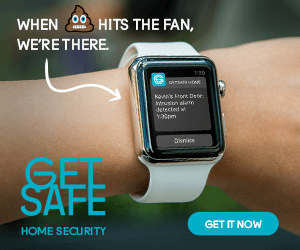 Smart home security systems are connected to your home Wi-Fi (cellular) network so you can monitor and control your security devices using your smart-phone and an app. 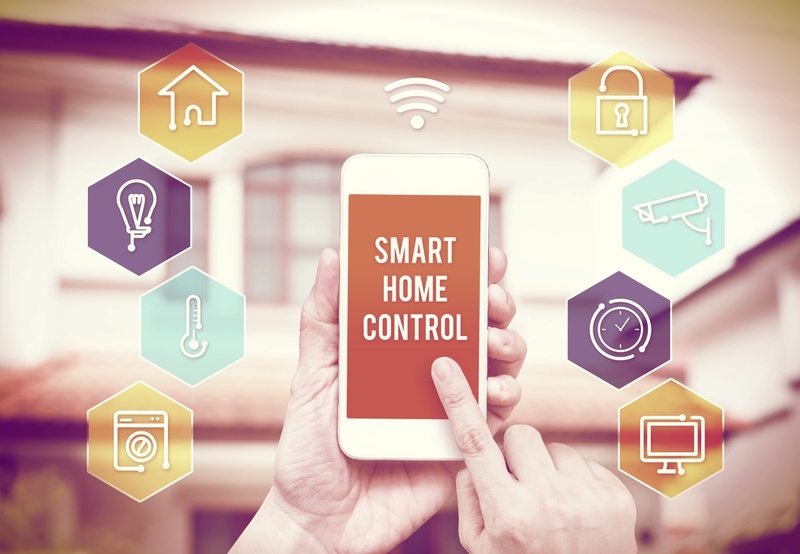 Basic smart home security systems usually include a couple of door and window sensors, a motion detector, and a hub that communicates with these devices using one or more wireless protocols. You can add extra door, motion, and window sensors to provide coverage for your entire house to include garage door openers, indoor and outdoor surveillance cameras, lights, sirens and much more. Depending on your needs you can choose a system you monitor yourself or subscribe to a professional monitoring firm, available around the clock, who will contact your local police and fire departments when alarms are triggered. Smart home security systems usually incorporate mobile access as standard. Mobile access can arm or disarm your system. You can also get text or email alerts through a smart-phone, tablet, computer, or other web-enabled device. This means you should be alerted the moment a door or window is breached, even when you are away from home. Some systems store recorded video locally on an SD card or a solid state drive, while others offer cloud storage, though the subscription for this may be expensive. The more expensive systems usually come with a wall-mounted panel that acts as a communications hub, with a touch-screen display that allows you to do everything the app does, as well as communicate with a professional monitoring service when an alarm is triggered. Do-it-yourself set-ups are ideal for home-owners on a budget as there are no installation charges or subscription fees. Most DIY systems can be configured to suit your specific needs and allow you to add additional components. DIY installation may leave a chance that the installation is not correct, although troubleshooting via phone with the company is available. 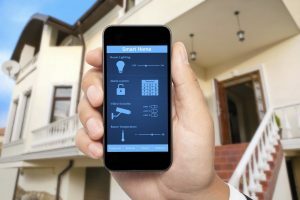 Some smart home security systems require professional installation. This is an expensive option, but allows you to feel confident in the placement and signal strength of equipment. Unlike a DIY option, a professional installation generally takes more time and requires drilling of holes and running of cables. The Vivint Sky smart home system offers 24/7 security monitoring and remote control of your door locks, cameras, heating system and more. It requires a monthly subscription, but features one of the best video doorbell solutions around. The iSmartAlarm is an affordable home security system that you can control with your smart-phone. It’s easy to install and requires no monthly fees. The camera only saves snapshots and you can’t control the system from your desktop PC. The Skyline Alarm System Starter Kit (SK-200) offers a relatively inexpensive way to outfit your home with a basic security system you can monitor from your smart-phone. Wolf-Guard Wireless Autodial Smart Home House Security Burglar Alarm System is a complete tamper-proof home security system that lets you set up to ninety-nine wireless monitoring zones so you know what’s going on anywhere in your home.